The Metro Council will meet Tuesday, September 5th, 2017 at 6:30 PM in the Council chamber at the Metro Courthouse. To watch the Council meeting, you can go to the courthouse and watch the meeting in person, or you can watch the broadcast live at Metro Nashville Network's Government TV on Nashville's Comcast Channel 3 and AT&T's U-verse 99 and it is streamed live at the Metro Nashville Network's livestream site and you can watch it live on Roku. You can catch the meeting the next day (or the day after the next) on the Metro YouTube channel. If can stand the suspense and just wait, I will post the video on this blog the day after or the day after that and provide commentary. If you are going to watch the Council meeting, you need a copy of the Council agenda and the Council staff analysis or you really will not know what is going on. You can get the agenda and analysis at the highlighted links. There are 14 appointment to Boards and Commission on the agenda. To my knowledge, this Council has never turned down a Mayor's appointee. They will all be approved without discussion. There are two resolutions and 25 bills on Public Hearing. A resolution is passed by a single vote and a bill requires three separate votes of the Council. The bills on Public Hearing are also on the second vote consideration of the Council or "second reading." The two resolutions are exempting establishments from the minimum distance requirements for obtaining a beer permit. The bills on public hearings are all rezoning bills or related to planning and zoning policy. While some cities, mostly smaller cities, have a kind of an open mic public hearing policy, where anyone may address their council on any topic, Nashville does not have such a policy. Only zoning and zoning related bills or on public hearing and the operating budget and the capital improvements budgets. Rezoning hearings bore me and I don't even try to form an opinion on the merits every rezoning bill before the Council. Rezoning bills usually are of interest only to people who live near the proposed rezoning. People who don't care one way or the other do not show up and with rare exceptions the only people who speak in favor of rezoning bills are those who will benefit from the rezoning such as the property owner or the developer. Opponents always make the same argument which boils down to one of these: 1) the change will result in stressing the infrastructure such as too much traffic on the roadway or overcrowd the schools, 2) will cause flooding, and 3) will change for the worse the character of the community. If you are interested in knowing what is permitted in different zoning districts, follow this link. Public Hearing: Below are the bills that I find of interest that are on public hearing. I find them of interest because they effect a lot of people and I expect them to be controversial or because they are disapproved by the Planning Commission and may be difficult to pass or for some other reason which I explain. Some zoning bills get a recommendation of disapproved as submitted but approved if the sponsor will make changes recommended by the Planning Commission. I am not listing as bills of interest those that fall in that category. Usually the sponsor makes the recommended changes. BILL BL2017-784 by Robert Swope would establish a maximum permitted height of ten feet for electric fences within any zoning district where electric fences are permitted. The Planning Commission recommended withdrawal. Usually there is a recommendation of "approved" or "disapproved," but I do not recall a recommendation of withdrawal. A disapproved bill requires 27 votes to pass on third reading. I assume if the sponsor moves forward with a bill that the Planning Commission has recommended he withdraw, the bill could be passed by a simple majority, but I am unsure. Maybe it has to go back to the Planning Commission for a recommendation. The staff analysis says it is anticipated that the sponsor will withdraw the ordinance in favor of alternative legislation so the recommendation for withdrawal will apparently not be a problem. BILL BL2017-824 is another bill where the Planning Commission recommendation is for the bill to be withdrawn. This is applying a Contextual Overlay District to certain properties in Councilman Murphy's district. A Contextual Overlay applies design standards to new development in a neighborhood to keep it in character with what is already there. The staff analysis does not address this bill so I do not know the consequences of a recommendation to withdraw the bill, if the sponsor does not withdraw it. BILL BL2017-852 in Councilman Mary Carolyn Roberts district would expand an Urban Zoning Overlay District by 1591 acres. This is a huge expansion. An Urban Design Overlay, or UDO, is a zoning tool that requires specific design standards for development in a designated area. A UDO is used to either protect the pre-existing character of the area or to create a character that would not otherwise be ensured by the development standards in the base zoning district. This bill has not yet been considered by the Planning Commission. There are 26 resolutions all of which are on the consent agenda. A resolution stays on the consent agenda if it passed the committees to which it was assigned unanimously. Since the committees have not met yet, some resolutions which are listed as on the consent agenda may not be on the consent agenda when the council meets. Bills on the consent agenda are usually not controversial and tend to be routine matters, such as accepting grants from the Federal or State Government or appropriating money from the 4% fund. Resolutions on the consent agenda are passed by a single vote of the Council rather than being considered individually. Any member of the body may have a bill pulled off of the consent agenda or have there "no" vote or abstention recorded. Below are the resolutions of interest. RESOLUTION RS2017-836 is a PILOT (payments in lieu of taxes) deal for an affordable housing project. This is the sixth time PILOT has been used to build affordable housing. Usually it is used as an incentive to lure a business to locate or expand in Nashville. This deal would be for a private developer to develop a 209 unit project restricted to seniors aged 62 or older whose income is below below 60% of the average median income which for a single person is $28,140. What this does is basically give the developer a break on property taxes for a ten year period which will amount to about $2.9 million. RESOLUTION RS2017-839 is the settlement of a lawsuit for $17K. My view on settling lawsuit is that if the legal department says settle, I am not going to second guess them. This council has not been so bad about it, but there was a time when some members of the Council would grandstand and get an explanation at the Council meeting of what happened and ask what punishment was handed out to the employee that caused the incident. They would make a big deal out of appropriating the money. Now, thankfully this is handled in committee and no one votes against these settlements and it has almost become routine. RESOLUTION RS2017-860 supports the continuation of DACA, (the federal Deferred Action for Childhood Arrivals program) and encourages Congress to create a permanent path to legal residency for DACA recipients. I support this. I know that some conservatives denounce DACA as amnesty. My view is that those children who were brought here by their parents illegally and had no say in the matter, who are Americanized, who may not even speak their native language, who have stayed out of trouble, and are either serving or served in the military or are in school or working, should not be deported to a country they may have never even known. I generally think the Metro Council should avoid opining on national issues, but I would make an exception for this. There are thousand of these young people in our community and are our co-workers and classmates and neighbors. I remain critical of President Obama for implementing this policy. My problem is not with the policy itself however but that President Obama did it by executive action rather than submitting the policy to Congress to ask it be enacted legislatively. I am please that this resolution asks Congress to pass legislation rather than simply asking President Trump to extend the policy. President Trump is being forced to take a stand on this due to a pending lawsuit brought by several states challenging the legality of the policy. On Tuesday, President Trump is to announce his intentions regarding DACA. It should be pointed out that a resolution of this kind only expresses the will of the Council. It has no impact. It is not even even really "adopted." It is passed by the Council, but is not an official position of the Metro Government. The mayor returns memorializing resolutions unsigned which is essentially a veto. To pass a resolution unsigned by the Council, the Council would then have to pass it a second time. That never happens. If I were in the Council, I would not vote for a bad memorializing resolution, but in reality they are pretty meaningless. I expect there will be some wasted time pontificating on the issue. RESOLUTION RS2017-861 says "that Nashville is opposed to and stands against racism and bigotry in all its forms and urging all to seek unified solutions to encourage the inclusive society our founders envisioned." Last Council meeting, the sponsor attempted to get this considered as a late resolution, but two objecting members kept it from being considered. I am pleased that this was stopped last Council meeting. There was no emergency that required suspension of Council rules. While this is motivated due to President Tump's comments following the violence in Charlottsville, there is nothing in the text of the resolution that calls out the President. There is nothing objectionable in the wording of the resolution unless you actually happen to be a racist. If the sponsor will pass this without making a useless speech denouncing Trump, then if I were in the Council I would keep quite and vote for it. If, however, the sponsor grandstands, I would offer an amendment condemning all political violence and hatred including that of Antifa. If no one votes against it in committee then this will be passed on consent and no one will speak on it. I think that is the best outcome. Bills on First reading: There are 36 bills on first reading. First reading is a formality that gets bills on the agenda and they are not considered by committee until after they pass first reading. I do not read them until they get to second reading. Bills on First Reading are all lumped together and pass by a single vote. BILL NO. BL2017-800 would make a modest change to the juvenile curfew laws. It would make the curfew slightly more restrictive. I do not see the need for this but could be persuaded in committee. This was on Second Reading on July 21st and deferred to this meeting. BILL BL2017-835 would increase the size of, number of, and required information on a building permit for any building permit for a project of over $2500. The sign would have to be two feet by three feet. That seem ridiculous. A very small remodeling project can exceed $2500 dollars and may be done in as little as a day. The sponsor is going to offer an amendment increasing the dollar limit to $5000. I would oppose this even at the higher limit. I just do not see the need for this. BILL BL2017-834 would amend the time restriction of when beer could be sold or served for on-premises consumption passes. 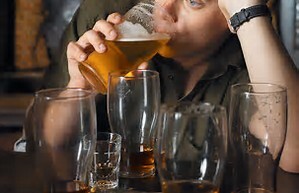 Under this bill a small number of restaurants could sell beer anytime except from 3AM to 4AM. For a more detailed explanation given when the bills was on Second Reading follow this link and go to timestamp 23:54 in the video. BILL BL2017-836 is a payment-in-lieu-of-taxes (PILOT) deal for the Keystone Automotive Industries to build an administrative office. This is the kind of corporate welfare that almost all cities engage in. We will in effect be subsidizing this company about $1.23 million and they promise to create 120 new jobs. That is a little over $10K per job. I would hope the Council would reject this. For more on this, read the bill and see the staff analysis.